Hi, I’m Ian Hay and I’m part of DIO’s Acquisition and Disposal team. One area DIO is always working on is selling parts of the estate which we don’t need anymore. This not only reduces our ongoing costs as we no longer have to pay for maintenance, utilities and so on, but also allows us to use the proceeds to reinvest in Defence and improve the quality of the remainder of the estate. You may have seen one of our recent sales in the news. 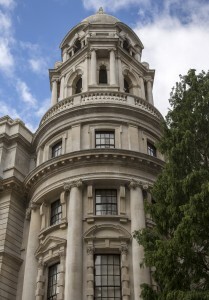 We have sold the Old War Office, Whitehall, which used to be a major MOD office. 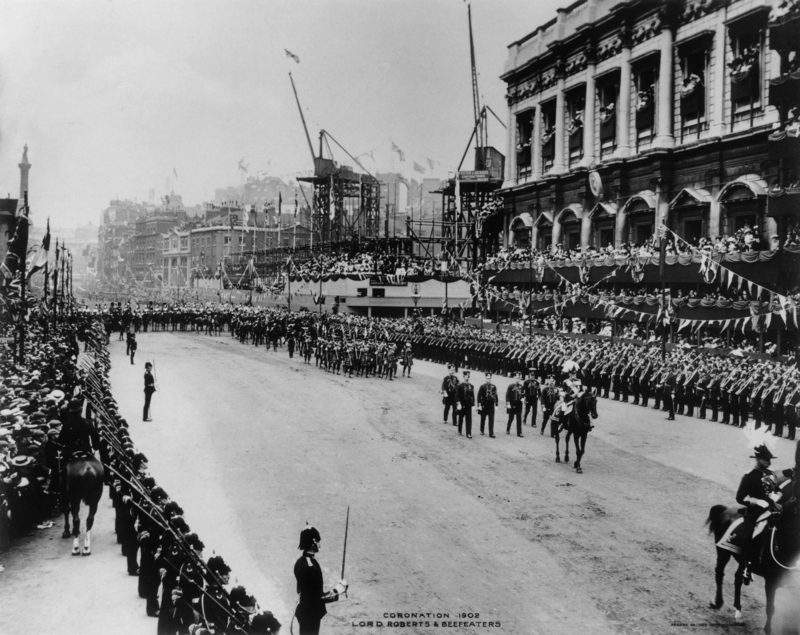 Over the years many notable names have been based there, including Winston Churchill, David Lloyd George, Lord Kitchener, and TE Lawrence, better known as Lawrence of Arabia. MOD staff moved out of the building and were mostly re-located across the road into Main Building, which is in effect the MOD’s Head Office. It is estimated that consolidating staff in one building will save at least £8 million per year in running costs. Its location in the heart of Whitehall made it very desirable to a number of developers from around the globe, there was a keen bidding process and we agreed a sale in late 2014 to the Hinduja Group in partnership with Obrascón Huarte Laín Desarrollos (OHLD), whose main shareholder is Grupo Villar Mir. More precisely, it is in fact a 250 year lease rather than a freehold sale per se with the new tenants being known as 57 Whitehall SARL. After completion of all the necessary legalities and clearing of MOD equipment and systems from the building, the sale completed today, 1 March 2016, for in excess of £350m and Mark Lancaster, Minister for Defence Personnel and Veterans, attended to mark the occasion. 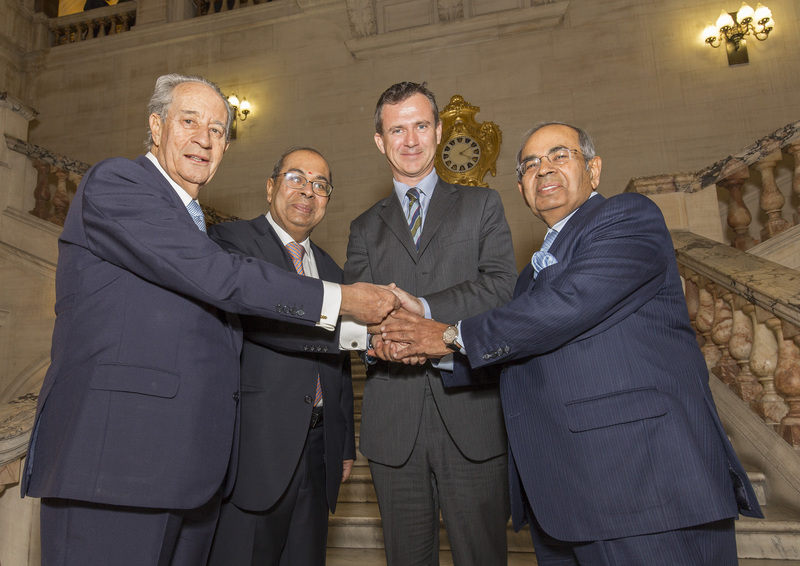 Pictured L to R are: Mr Juan-Miguel Villar-Mir (of Grupo Villar Mir), Mr PP Hinduja, Defence Minister, Mark Lancaster MP, Mr GP Hinduja (both of the Hinduja Group) on the main staircase of The Old War Office. 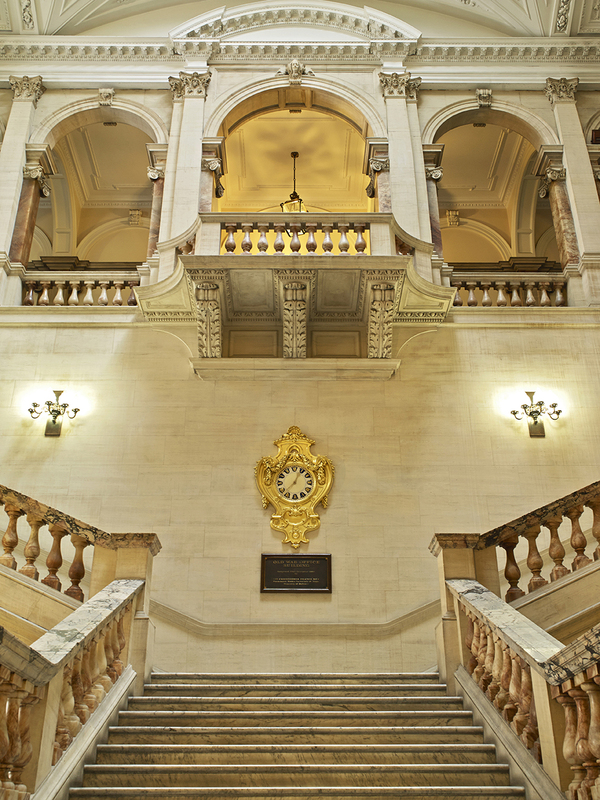 The Grade 2* listed building is in a style known as ‘Edwardian baroque’. It was completed in 1906, has just over 54,000 square metres of accommodation spread over seven floors, 1100 rooms and more than two miles of corridors. The procession for the coronation of King Edward VII passes the construction of The Old War Office building in Whitehall, London in 1902. 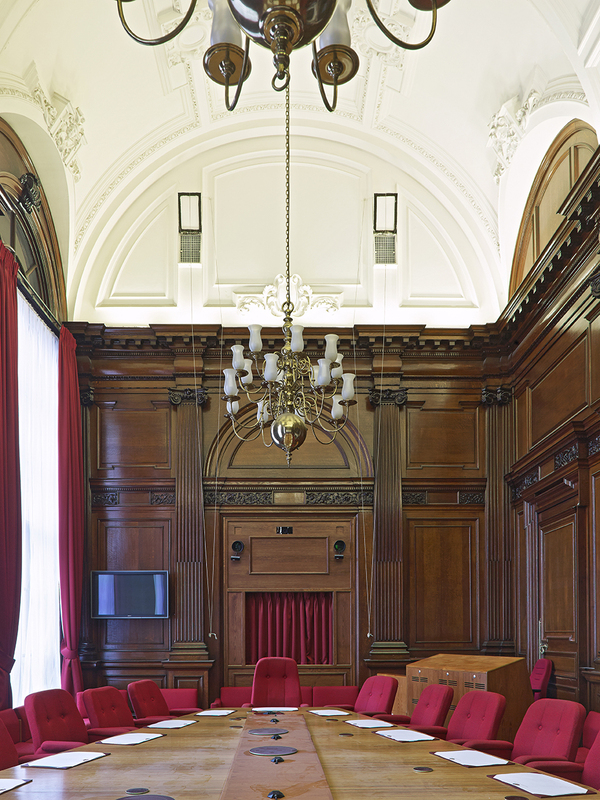 Some of the rooms which were used as offices for senior personnel still have oak panelling, decorative ceilings and marble fireplaces. A previously published leaflet, though a few years old now, gives a fascinating insight into the history of the building, and other notable buildings previously sold by MOD, as well as the retained MOD Main Building. A meeting room in Old War Office. We worked collaboratively with the new owners throughout the sale process and expect them to turn the site into a distinguished hotel and luxury residences. They have made public assurances that they will work meticulously to restore the distinctive and historic fabric of the building, which is welcome. Due to the location of the property we have also engaged with a whole range of key stakeholders including, amongst others, the planning authority, Historic England, other Government departments and the Metropolitan Police, as the building sits within the Government Security Zone. 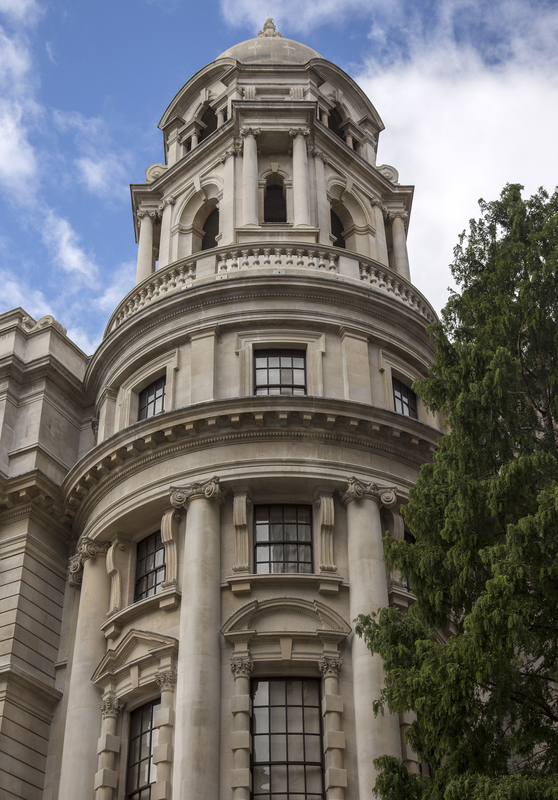 The sale of Old War Office is a high-profile example of our ongoing work to identify and sell land and sites which are no longer required by defence. As I said earlier, this saves us money and allows us to reinvest the proceeds and target spending where it is most needed. In January we announced 12 sites which are to be disposed of under what we’re calling the Footprint Strategy. A lot of work goes in to identifying these sites. Naturally we liaise at length with the military about their use of sites and any impact of closure, to ensure they can be sold without any negative impact on Defence. The initial batch is expected to generate some £500m which will be reinvested in Defence, and will also free up land for up to 15,000 new homes. 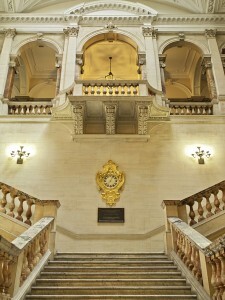 An ornate staircase in Old War Office. Of course, before the sale, Old War Office was off-limits to the public. Now, however, it looks like you’ll be able to visit once redevelopment is completed, either as a guest in the hotel, bars and restaurants, or to view the historic exhibition which the purchasers are planning to build into the finished development. We have been in discussion with the local Councillors at Camden Council over the Swiss Cottage TA Centre on Fitzjohns Avenue in the hope of putting a temporary 'meanwhile use' school in the building whilst alternative plans are being considered by the Army Reserve/TA. Who is the right person to speak to at the DIO or DE? Hi Philip, thanks for reading. In this case we believe the most appropriate contact would actually be the Greater London team for the Reserve Forces and Cadet Association - see https://glrfca.org/.